Dr. Touma, obtained his Medical Doctor diploma from the Lebanese University School of Medicine in 1991 and subsequently trained in medicine and then dermatology at Boston University and Tufts University in Boston , Massachusetts in the U.S. In 1998, he obtained a specialized Fellowship in Laser and Cosmetic Dermatologic Surgery and Mohs Micrographic Surgery for Skin Cancer at Boston University . Between 1998 and 2000, Dr. Touma was director of Dermatologic Surgery at the Roger Williams Medical Center in Providence , RI , and in 2000 he became director of the Boston University Center for Cosmetic and Laser Surgery and Chief of Dermatology of the Boston VA Health System. 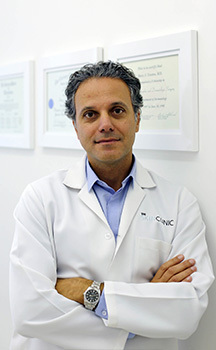 In 2004 Dr. Touma moved back to Beirut and established his private practice, while maintaining his position at Boston University as Adjunct Associate Professor of Dermatology. Dr. Touma has done major research in the area of laser hair removal, especially studying ways to decrease pain and side effects of treatment, and in the area of photodynamic therapy for precancerous lesions and skin rejuvenation. His main clinical expertise is in the field of cosmetic and laser dermatologic surgery, liposculpture, and treatment of skin cancer. 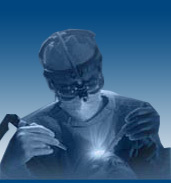 He has performed over 10,000 cumulated surgical and cosmetic laser and non-laser cases, and has trained many physicians around the world in those procedures. Dr. Touma has edited a book on the treatment of skin cancer, and has published over 18 articles in American medical journals. He has given over 48 lectures around the world, including in addition to numerous major meetings in the U.S. , Sao Paolo, Paris , Florence , Beirut and Dubai . He has been the guest of many TV channels in the U.S, namely ABC, CBS and NBC, to discuss various topics from laser, to liposculpture, Botox, fillers and skin cancer. Dr. Touma's practice is dedicated to clinical research, teaching, and above all, excellence in patient care.